Today we’d like to introduce you to Lisa Serino. I received my first video camera, a Sony Handycam, as an early college graduation gift from my parents back in 2004. It all started out as just a hobby—I’d film my friends for fun and capture memories of family vacations. But I fell in love immediately! I never imagined I could actually turn the passion I was developing for filming into a videography business. I figured it would just stay a hobby—it’d be something I’d do here and there, something I would never be able to get paid for. The question, “What do you want to be when you grow up?” was always easy for me when I was little. I’d reply right away, “An artist!” But as I got older, I had no clue how to actually turn that dream into a career. I was passionate about helping others and loved kids, so I decided to become a teacher. I graduated Merrimack College in 2005 and started teaching soon after. I thought I would be a teacher for life. I had it all planned out, actually. I would get married, have kids, have the perfect schedule—home in the afternoons, and have the summers off. What could be better than that?! As it turns out, though, teaching really wasn’t what I thought it would be. And after six years of teaching, I decided to take a leave of absence and re-evaluate whether or not this was what I wanted to do with my life. It was actually a really scary time for me. I had no “back-up” plan or any other clear direction that I wanted to go in. I didn’t have another career in mind and was completely overwhelmed at the thought of what I was going to do. A friend of mine commented… “Just do what you love.” Just do what I love?? But how can I make money doing what I love? I had no clue, but I decided to start there—with what I love. At the time, I had only filmed weddings for my friends. But I decided to go out on a limb, do a little bit of advertising, and see if there was anyone out there interested in what I did. I had to work four jobs to make things work financially, but I was truly happy. I was a nanny by morning, a dog walker by day, a tutor in the afternoon, and video editor by night. I would film any wedding that came my way. It was just my luck that around this time Facebook was becoming really popular and couples started sharing the films I made for them on Facebook. So their friends saw them, and all of a sudden, I had so many inquiries for the following year—there was no way I could return to teaching AND do all of this videography work. I was actually shocked. Out of all of the new career possibilities, I never imagined I would have enough interest in my wedding films to do it full-time. It was a difficult decision to make, but I decided to take the risk and officially leave my job as a teacher and try to build my passion, my video business. Supporting myself full-time with filming weddings didn’t just happen overnight. I continued to do other part-time jobs while I took the time to learn and improve my skills. And lucky for me, my husband is a bit of a tech geek. He read our camera manuals for fun and loved helping me figure out the best equipment to invest in. 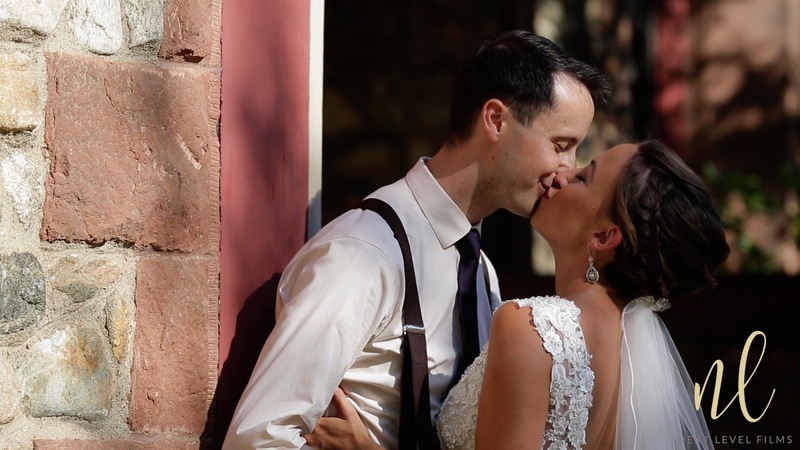 At the same time, I put my heart and soul into connecting with my clients and was spending a ridiculous amount of hours in post-production (at least 55-60 hours per wedding) to create a film that was absolutely perfect. I took workshops, watched endless tutorials, and most importantly—practiced until I figured out how to do it the right way. And I am still learning as technology continues to change! Honestly, I think I have been incredibly lucky. At the time I was starting out, my husband was working as a DJ and referred me to his wedding clients. So I immediately had people interested in my work. However, I knew nothing about running a business. I have realized the struggles of life as an entrepreneur and the unpredictability of owning your own business. It comes with a lot of responsibility and can be overwhelming at times. It was especially hard at first when I didn’t know any other videographers. I felt pretty isolated without having other colleagues that I could talk to or bounce my ideas off of. 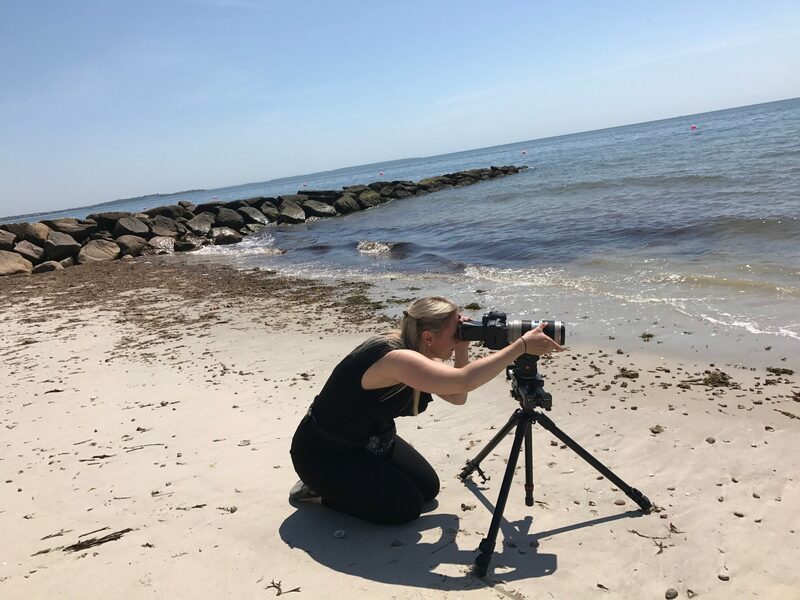 One of the best things I did was reach out to the New England Videography Association and started to build relationships with other filmmakers in the area. I have been so fortunate to meet fellow videographers that were willing to help me grow my business and support me through the ups and downs. In a world where so many people are competing with others to be the best, I have actually experienced the opposite. The community of videographers in the Boston area is incredibly supportive and wants to help each other succeed. 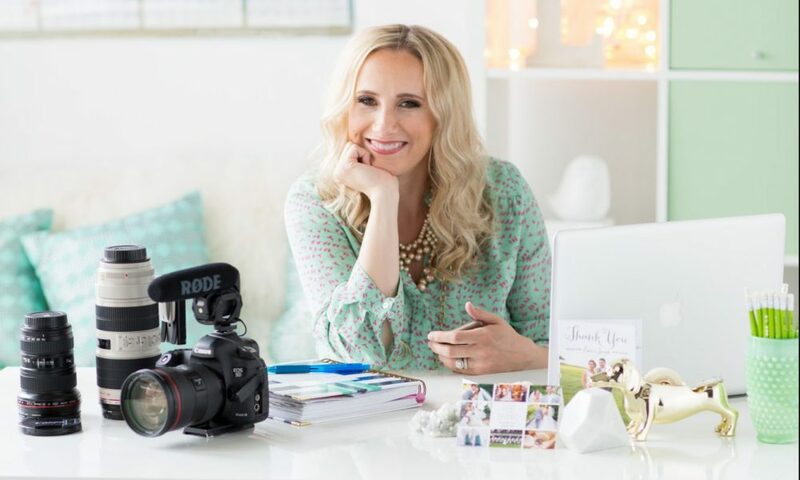 Also, there are many online communities that have proven to be great resources, like The POSH Collective, a group of women event filmmakers and photographers from around the world that connect online to share and learn from each other, and also get together yearly at an annual educational conference. Being my own boss does allow me to make my own hours… but finding “balance” in my life can be really difficult. Especially as a mother of a 2-year-old. I’m constantly juggling the roles of mom, wife, sister, daughter, and friend with a full-time business owner. But honestly, I truly wouldn’t have it any other way. My family has been my biggest support system, and I wouldn’t be where I am today without their encouragement and help. Next Level Films – what should we know? What do you guys do best? What sets you apart from the competition? 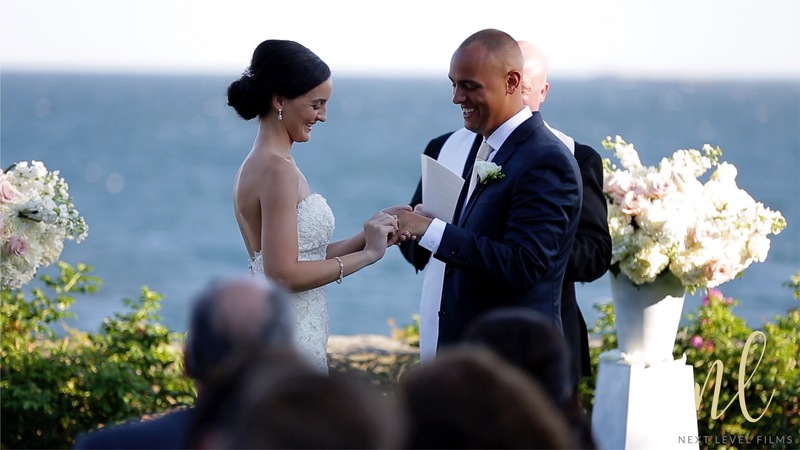 We are a videography business specializing in weddings and small business promotional films. We are known for genuinely capturing the moment of your wedding day—so when it’s all said and done, this moment is preserved and you can re-live it over and over. To me—I feel like capturing these moments, ever so carefully, is my superpower. And it is a true gift to be able to do so. Have you ever wished you could stop time? When something you’re experiencing is so great, you’d do anything to make it last one more day, one more week, one more year, even? Well, we can do that for couples. We can stop time and capture the feeling of your wedding day on film, and tell your unique, beautiful story. Because our films are not just images set to music, they are love stories. And we are known for our storytelling. The reason for our ability to tell your story is how we prepare for a wedding. 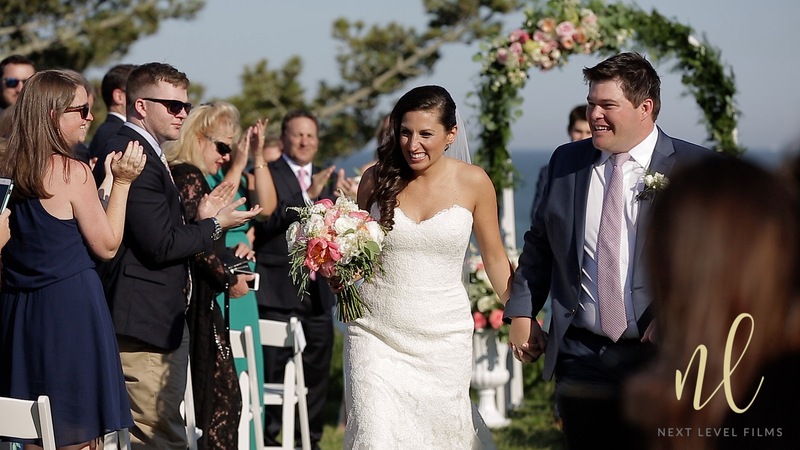 We take the time to meet with our couples in person prior to the wedding and learn all the details about their relationship and the VIP guests who will be at the wedding, so when we are filming, we know exactly what to look for and who to focus on. I think we are most proud of the reactions our couples have after they watch their films—we often hear that they can’t believe we captured everything that we did. They often say that they didn’t even realize we were there at certain times or things like, “You just really got “us” and our personalities came through in the film.” Putting together a wedding film is like a puzzle. Anyone can arrange clips and use a speech as a voiceover in a film, but the time we put into selecting the sound bites that create and invoke such emotion—whether it’s tears or laughter, really sets us apart. 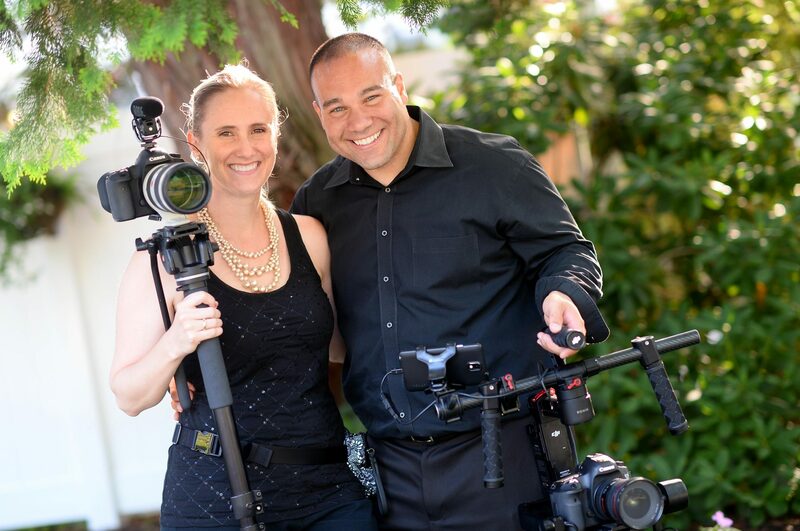 For our small business promotional films—we apply our love and ability for telling a story like we do with our wedding films to our small business owners. We love helping a business owner share the story of what makes their company special, while also showcasing the business space itself. We love integrating interviews of clients as well as dialogue from the owner to help capture the essence of who they are and what makes them unique! I think Boston is amazing for small businesses because it’s a small city, which makes it easier to connect and network. It is especially great for videographers because there are always so many weddings and events taking place throughout the year. 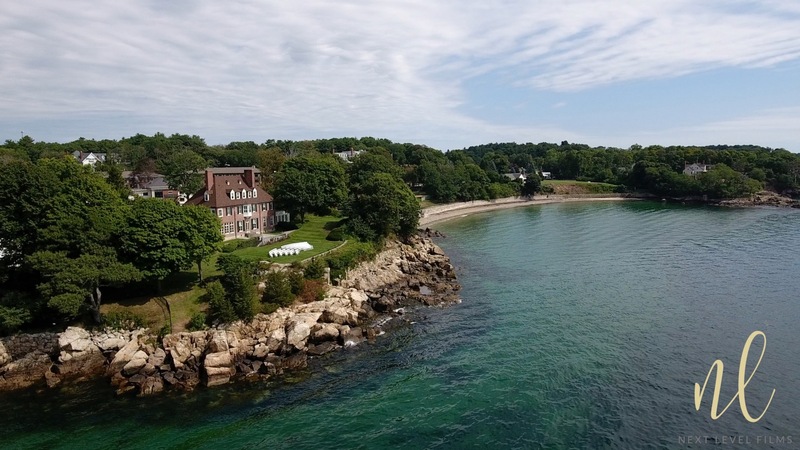 I think with all of the colleges in the area, a lot of young adults settle down here after they graduate, and eventually plan a wedding locally. So there are many opportunities for filming. Also, the videographers in this area are really supportive of each other and there are plenty of opportunities for continuing education and workshops to learn and improve your craft. Really cool description of Lisa. Lisa is so Passionate of her work and it shows with each and every final video she puts out. Juggling being a Mom, Sister, wife, great friend and so much more to so many, she still finds the time to personally pour her heart and soul into each edit. That’s not the case with all videographers, many just shoot the footage and send it out for editing but Lisa finds her magic in the editing. I’ve worked side by side with Lisa and have seen her tear up while filming a moment of a wedding and tear up each time (often hundreds of time) editing the same moment in post production. I’m so happy Lisa is doing “what she loves” because she works so much but she isn’t really working when fulfilling your calling. Best wishes Lisa and keep up the great work!